Dentures are a great choice if you need a replacement for missing teeth. They can restore the appearance of your smile and make it easier to eat and speak with full confidence. 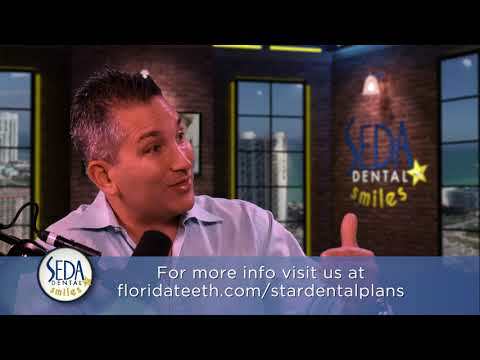 At SEDA Dental, we can create either partial or full removable dentures for residents in South Florida. Full dentures replace all the teeth in your lower arch, upper arch, or both compared to partial dentures that leave some of your natural teeth to act as support. Our South Florida dental team can help determine whether partial or full dentures are best for your goals, and then have your dentures made custom to look natural and fit comfortably. Schedule an appointment to receive more information about dentures. You could be an ideal candidate for dentures if you have suffered the loss of many teeth but still have healthy gums and a strong jawbone. If you have natural teeth, they can either be removed if you want a full denture or you can keep them as support for a partial. During your consultation, we will assess your mouth and discuss your choices to fit your needs and budget. In some cases, an extraction may be needed on any necessary teeth before impressions are taken, which will help make your custom dentures. Partial dentures will be shaded to blend with your remaining teeth for an attractive appearance. As soon as your dentures are crafted, we will adjust the fit so they are comfortable and secure. We will also go over the best way to clean and care for your new dentures. It may take time before your dentures feel comfortable and natural; however, it should become easier to speak and eat normally. If the dentures feel loose, come back to SEDA Dental to have them re-adjusted. You will need to clean your dentures with a toothbrush two times a day. When you take them out at night, they need to be soaked so they do not dry out. You should continue to attend exams and cleanings at SEDA Dental so we can check the fit and wear of your dentures and the overall health of your mouth. We will discuss when you need to have your dentures replaced or repaired; however, with proper treatment, your custom dentures can last for many years. If you are using insurance, some of the expenses of your custom dentures will typically be covered by your provider. Our office will talk to your insurance company to determine your exact coverage and personal expenses. During your consultation, we will customize your treatment so your dentures match your budget and needs. To help make your dentures affordable with or without dental insurance, SEDA Dental takes several payment methods, including low-interest medical financing. Enjoy the ability to confidently speak and eat when your smile is replaced with removable dentures. Our experienced team of dental professionals is pleased to offer custom removable partial and full dentures for our patients in South Florida. Learn more about how dentures can restore your smile by making an appointment at SEDA Dental.